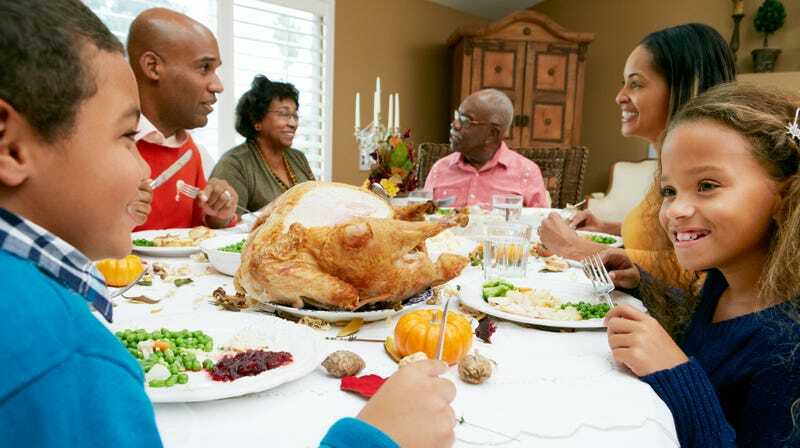 Recent headlines about the U.S. Department Of Agriculture and Centers For Disease Control investigations into a multistate outbreak of drug-resistant salmonella tied to turkey may have you looking askance at your Thanksgiving bird. But don’t overreact! Yes, drug-resistant salmonella sounds terrifying, but according to the CDC, you should be fine to cook your turkey as long as you follow basic precautions. First, resist the urge to wipe all your kitchen surfaces with raw turkey. It’s a tradition, I know, but this year, the CDC recommends you not rinse the raw bird before cooking it, and instead let it thaw in a sink of water (changed every 30 minutes) or in the refrigerator. Secondly, cancel the annual No-Handwashing-Marathon that brings such joy each November. Tragic, yes, but public health officials say that it’s imperative people wash their hands after touching raw poultry. Third, stop Uncle Larry from licking the turkey before it goes into the oven. We all know he prefers it on the rare side, but the CDC says turkey should be cooked to an internal temperature of 165 degrees Fahrenheit; ditto for leftovers, which should be reheated to that temperature. Sorry, Uncle Larry. While these guidelines may bring some unwelcome changes to your Thanksgiving festivities, they’ll help prevent the emergence of a new holiday event: The Black Friday Barf-Off.